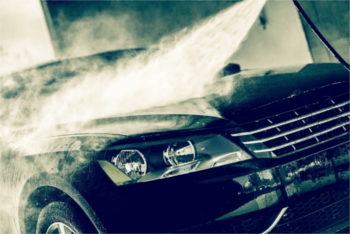 Protect your car wash business and property from false claims of damage, illegal dumping of oil and other contaminants, damage caused by vehicles, employee theft, loitering, and any other illegal or unwanted activities. Identifying cars and license plates is a major part of securing your car wash. With camera resolutions now available in 4k and higher, proper outdoor placement is now a viable option. Car Wash Security can be difficult; but with the right installation methods it doesn’t have to be. While water is an obvious concern, the more difficult challenges to overcome are proper camera placement, lighting issues, vehicle speed control, and pay stations. With a professionally designed Arcdyn security system and proper placement of cameras in these areas, you have a better chance of capturing usable and actionable security camera footage. While securing the outside of your car wash is important, it is also crucial to protect the inside of your business too. The damp environment and spraying water will be a large factor when installing the cameras inside. 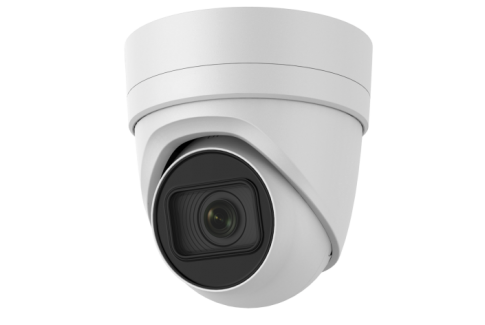 To ensure your security cameras can withstand these wet conditions, install cameras with an adequate Ingress Protection (IP) rating. All of our cameras are rated at least IP66, which means that the camera is dust tight, and protected from water projected in powerful jets against the camera enclosure in any direction. Talk with one of our knowledgeable surveillance experts today to get a free custom quote for your car was security camera system. 100ft Infared Distance is commonly refrenced as "Night Vision Distance" and refers to the cameras ability to capture footage at night time. 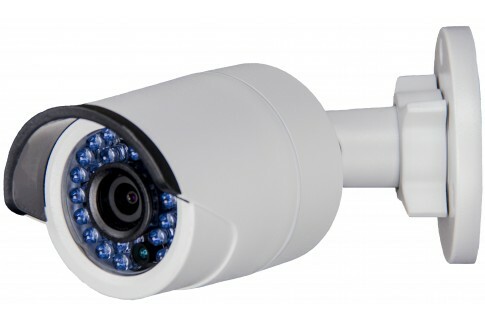 The Dart 1080p 2MP Fixed Lens Bullet Camera 4mm has an overall distance of 100ft. Arcdyn Security cameras use the 850nm wavelength for IR illumination. IP66 Ingress Protection Rating (IP66) refrences the devices ability to deter the introduction of unwanted elements inside the camera enclosure. 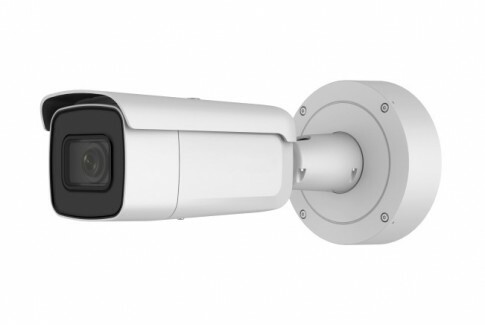 All Arcdyn IP security cameras are rated at least IP 66, which means all of our cameras are suitable for installton outside and inside. 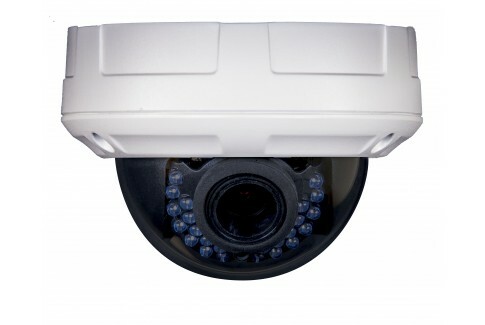 75˚ FOV or the field of view of a security camera is the viewable area that the camera can see. This specification is measured in degress and varies depending on the focal length. Shorter focal lengths give a larger FOV, while larger focal lengths give a smaller FOV. 4MM Focal length is a measurment of the distance between the lens and the image sensor. Security cameras have a fixed focal length or a variable focal length. A fixed lens camera has fixed focal length and a fixed field of view. A varifocal camera has a variable focal length and a variable field of view. 1920X1080, 60FPS This cameras max resolution and Frame per second(FPS) is 1920X1080, 60FPS. Digital security camera resolution is measured in megapixels (MP) and is sometimes also given in horizontal and vertical pixel dimensions. For instance, if a camera is 1920×1080 resolution, then the camera is 2MP (1920 x 1080 = 2,073,600 or 2MP). 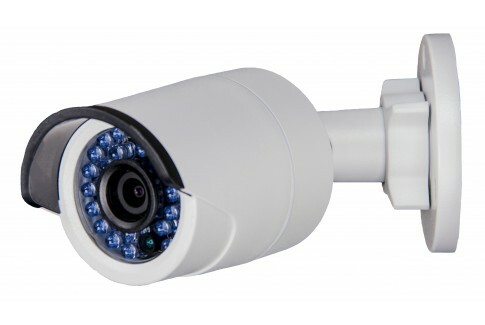 Motion Detection IP security cameras are capable of using advanced video anayltics often called "smart anayltics". 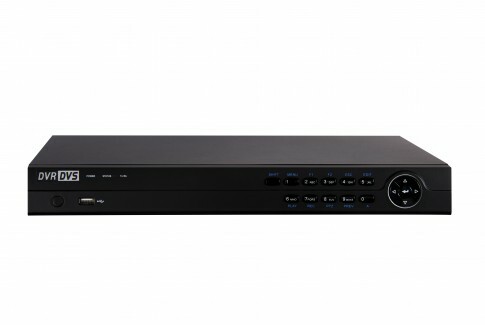 Smart anayltics allow the security camera to record or trigger an event based on the current configuration. Common anayltics are motion, line crossing, intrusion detection, face detection, and more. 100ft Infared Distance is commonly refrenced as "Night Vision Distance" and refers to the cameras ability to capture footage at night time. The Slingshot 1080p 2MP Fixed Lens Turret Camera 2.8mm has an overall distance of 100ft. Arcdyn Security cameras use the 850nm wavelength for IR illumination. 102˚ FOV or the field of view of a security camera is the viewable area that the camera can see. This specification is measured in degress and varies depending on the focal length. Shorter focal lengths give a larger FOV, while larger focal lengths give a smaller FOV. 2.8MM Focal length is a measurment of the distance between the lens and the image sensor. Security cameras have a fixed focal length or a variable focal length. A fixed lens camera has fixed focal length and a fixed field of view. A varifocal camera has a variable focal length and a variable field of view. 100ft Infared Distance is commonly refrenced as "Night Vision Distance" and refers to the cameras ability to capture footage at night time. 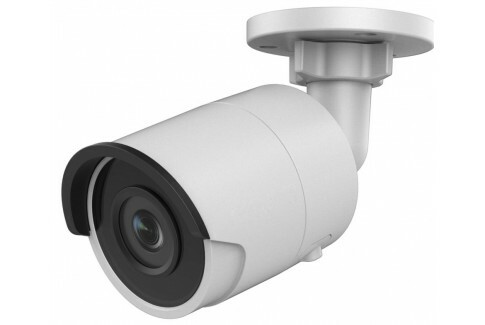 The Dart HD+ 4MP Fixed Lens Bullet Camera 4mm has an overall distance of 100ft. Arcdyn Security cameras use the 850nm wavelength for IR illumination. 2688X1520, 20FPS This cameras max resolution and Frame per second(FPS) is 2688X1520, 20FPS. Digital security camera resolution is measured in megapixels (MP) and is sometimes also given in horizontal and vertical pixel dimensions. For instance, if a camera is 1920×1080 resolution, then the camera is 2MP (1920 x 1080 = 2,073,600 or 2MP). 100ft Infared Distance is commonly refrenced as "Night Vision Distance" and refers to the cameras ability to capture footage at night time. 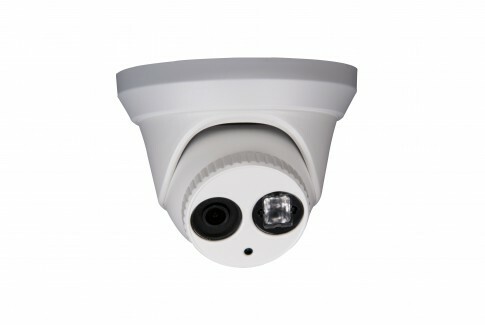 The Dart HD+ 4MP Fixed Lens Bullet Camera 6mm has an overall distance of 100ft. Arcdyn Security cameras use the 850nm wavelength for IR illumination. 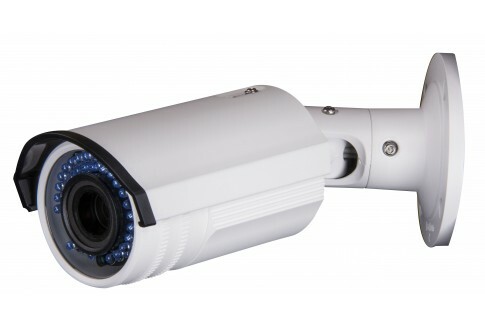 45˚ FOV or the field of view of a security camera is the viewable area that the camera can see. This specification is measured in degress and varies depending on the focal length. Shorter focal lengths give a larger FOV, while larger focal lengths give a smaller FOV. 6MM Focal length is a measurment of the distance between the lens and the image sensor. Security cameras have a fixed focal length or a variable focal length. A fixed lens camera has fixed focal length and a fixed field of view. A varifocal camera has a variable focal length and a variable field of view. 100ft Infared Distance is commonly refrenced as "Night Vision Distance" and refers to the cameras ability to capture footage at night time. The Slingshot HD+ 4MP Fixed Lens Turret Camera 2.8mm (Black) has an overall distance of 100ft. Arcdyn Security cameras use the 850nm wavelength for IR illumination. IP67 Ingress Protection Rating (IP66) refrences the devices ability to deter the introduction of unwanted elements inside the camera enclosure. All Arcdyn IP security cameras are rated at least IP 66, which means all of our cameras are suitable for installton outside and inside. 2048X1536, 20FPS This cameras max resolution and Frame per second(FPS) is 2048X1536, 20FPS. 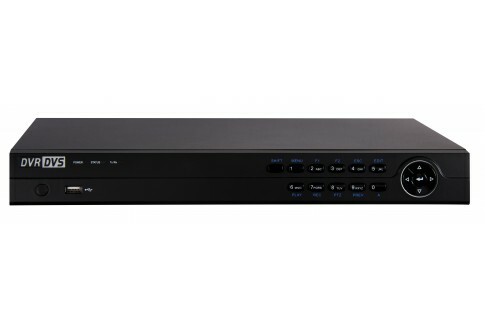 Digital security camera resolution is measured in megapixels (MP) and is sometimes also given in horizontal and vertical pixel dimensions. For instance, if a camera is 1920×1080 resolution, then the camera is 2MP (1920 x 1080 = 2,073,600 or 2MP). 100ft Infared Distance is commonly refrenced as "Night Vision Distance" and refers to the cameras ability to capture footage at night time. The Slingshot HD+ 4MP Fixed Lens Turret Camera 2.8mm has an overall distance of 100ft. Arcdyn Security cameras use the 850nm wavelength for IR illumination. 100ft Infared Distance is commonly refrenced as "Night Vision Distance" and refers to the cameras ability to capture footage at night time. The Slingshot HD+ 4MP Fixed Lens Turret Camera 4mm has an overall distance of 100ft. Arcdyn Security cameras use the 850nm wavelength for IR illumination. 100ft Infared Distance is commonly refrenced as "Night Vision Distance" and refers to the cameras ability to capture footage at night time. The Slingshot HD+ 4MP Fixed Lens Turret Camera 6mm has an overall distance of 100ft. Arcdyn Security cameras use the 850nm wavelength for IR illumination. 100ft Infared Distance is commonly refrenced as "Night Vision Distance" and refers to the cameras ability to capture footage at night time. The Arrow 1080p 2MP Varifocal Bullet Camera has an overall distance of 100ft. Arcdyn Security cameras use the 850nm wavelength for IR illumination. 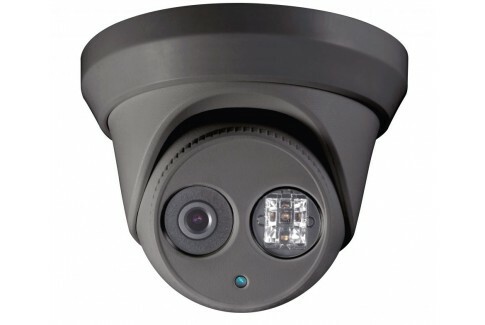 30˚- 98˚ FOV or the field of view of a security camera is the viewable area that the camera can see. This specification is measured in degress and varies depending on the focal length. Shorter focal lengths give a larger FOV, while larger focal lengths give a smaller FOV. 2.8MM- 12MM Focal length is a measurment of the distance between the lens and the image sensor. Security cameras have a fixed focal length or a variable focal length. A fixed lens camera has fixed focal length and a fixed field of view. A varifocal camera has a variable focal length and a variable field of view. 100ft Infared Distance is commonly refrenced as "Night Vision Distance" and refers to the cameras ability to capture footage at night time. 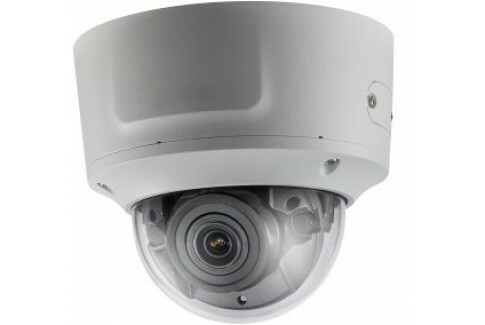 The Longbow 1080p 2MP Varifocal Dome Camera (Gen2) has an overall distance of 100ft. Arcdyn Security cameras use the 850nm wavelength for IR illumination. 100ft Infared Distance is commonly refrenced as "Night Vision Distance" and refers to the cameras ability to capture footage at night time. The Boomerang HD+ 4MP Varifocal Turret Camera has an overall distance of 100ft. Arcdyn Security cameras use the 850nm wavelength for IR illumination. IP67 & IK10 Ingress Protection Rating (IP66) refrences the devices ability to deter the introduction of unwanted elements inside the camera enclosure. All Arcdyn IP security cameras are rated at least IP 66, which means all of our cameras are suitable for installton outside and inside. 100ft Infared Distance is commonly refrenced as "Night Vision Distance" and refers to the cameras ability to capture footage at night time. 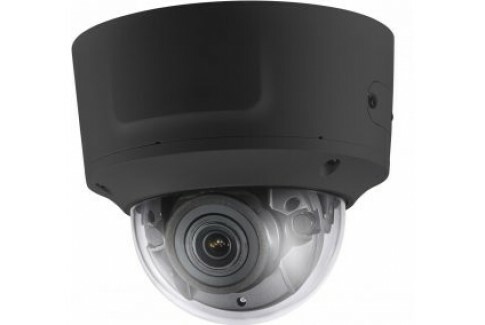 The Longbow HD+ 4MP Varifocal Dome Camera - Black has an overall distance of 100ft. Arcdyn Security cameras use the 850nm wavelength for IR illumination. 100ft Infared Distance is commonly refrenced as "Night Vision Distance" and refers to the cameras ability to capture footage at night time. The Longbow HD+ 4MP Varifocal Dome Camera has an overall distance of 100ft. Arcdyn Security cameras use the 850nm wavelength for IR illumination. 100ft Infared Distance is commonly refrenced as "Night Vision Distance" and refers to the cameras ability to capture footage at night time. The Arrow HD+ 4MP Varifocal Bullet Camera has an overall distance of 100ft. Arcdyn Security cameras use the 850nm wavelength for IR illumination. Create Your Dealer Account TODAY! IT'S FREE AND ONLY TAKES A FEW MINUTES.